This modern, earthy space definitely has the aesthetics of relaxation down: It's minimally decorated with earth tones, potted plants and sleek wooden furniture, and the stripped-down treatment menu is displayed across one entire wall. 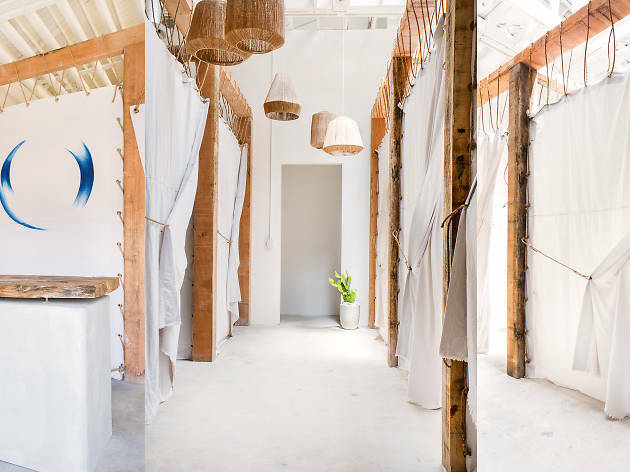 It's nice to have a spa that doesn't overwhelm you with choices: aside from their signature massage, you can get four other types specifically for athletes, travelers, expecting mothers and one for general healing. There's also a massage for kids 17 and under, as well as one for head, neck and shoulders, and another for legs and feet. Pretty straightforward. The massages themselves are more rigorous than relaxing: you're jostled and stretched and rubbed, and it all feels good and will do wonders for your muscles, but you're not likely to leave feeling like you've just had a nap. That being said, you just can't beat these prices, which work out to about a dollar a minute. Our suggestion? Go from 5-7 for happy hour, during which you can get a 30-minute neck or foot massage and a glass of wine on the cheap. This place gets a lot of hype on social media because it is an Instagrammers' paradise, but my love for The Now ends there. The interiors are perfection, but the massage was the worst I've had, which is saying a lot. My therapist had a bad attitude, and despite me asking for deep tissue, she may as well have not touched me at all. I also am not crazy about the sign that suggests you tip around 30%+. They should just charge more for the massages so they can pay their therapists more. I did speak to the person at the front when I checked out (nicely) about my experience, and they did remove the extra charge for the aromatherapy oil, but it wasn't enough to make me want to go back. 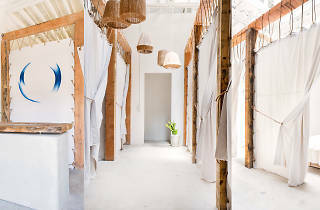 This relaxing oasis has a Tulum-chic mixed with L.A.-chill feel that is perfect for folks who might not be into the whole 'spa thing' but still want a truly healing massage experience at a very reasonable price.